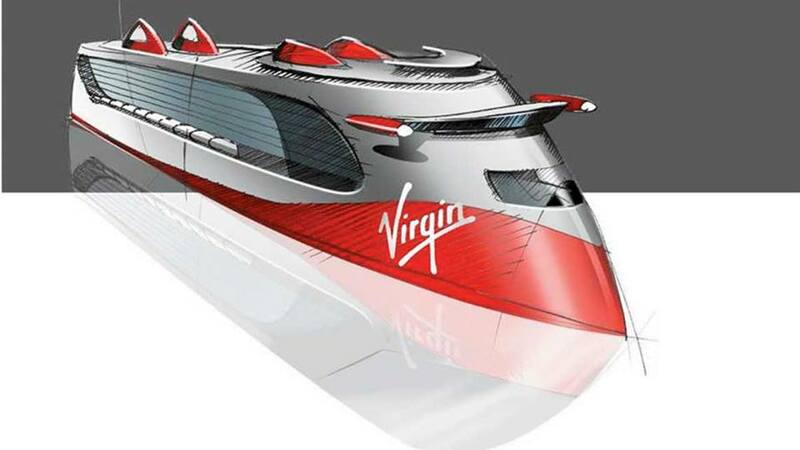 Richard Branson is planning a striking new look for his cruise ships – if a legal action doesn’t scuttle the plans before they even reach the water. Virgin Cruises, with a $1 billion investment from venture capitalists and planned to launch by 2019, will initially have two of the modernistic “ultra ships” carrying 4,200 passengers each. But consultant Colin Veitch, a former CEO of Norwegian Cruise Line, is suing Branson and Virgin Group for more than £200 million damages and has asked a judge to put a stop to the development. Veitch claims that Branson went back on a deal reached in 2011 and that Branson “muscled him out” of the joint venture he proposed to establish as a rival to Carnival and Royal Caribbean. He is alleging breach of contract, saying Virgin initially agreed a partnership that would bring him $315 million over two years, but that the company later began altering the deal to diminish his earnings and leave him as “an indentured servant whose ownership and rewards depended completely on Virgin’s whims.” He says he was squeezed out when Virgin hired Tom McAlpin, former president of Disney Cruise Line, as CEO. The striking ship design has been disclosed in Veitch’s lawsuit, filed in Miami.